After 13 years, 'EverQuest' is going to be available absolutely free. Back in December, 'EverQuest II' changed over to a free-to-play model while its predecessor still chugged on. 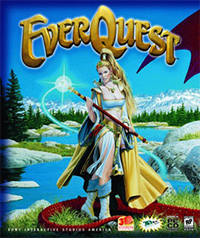 Today it was announced that the original 'EverQuest' will be doing the same in just a few months. The changeover will occur in March, marking the 13th birthday of the game. That's 13 years of killing baddies, dragging corpses, shouting "train to zone," begging for SOW and trading in the East Commons tunnel. Considering the fate that has befallen so many MMOs, it's surprising that 'EverQuest' has lasted this long without changing its business model over. Then again, it was the first MMO to really hit. Back then we weren't looking for a WoW killer - each new entry in the genre was hailed as an EQ killer. 'Warcraft' definitely surpassed it, but clearly EQ wouldn't die. If you want to jump back into the world of Norrath you can do so free starting in March.